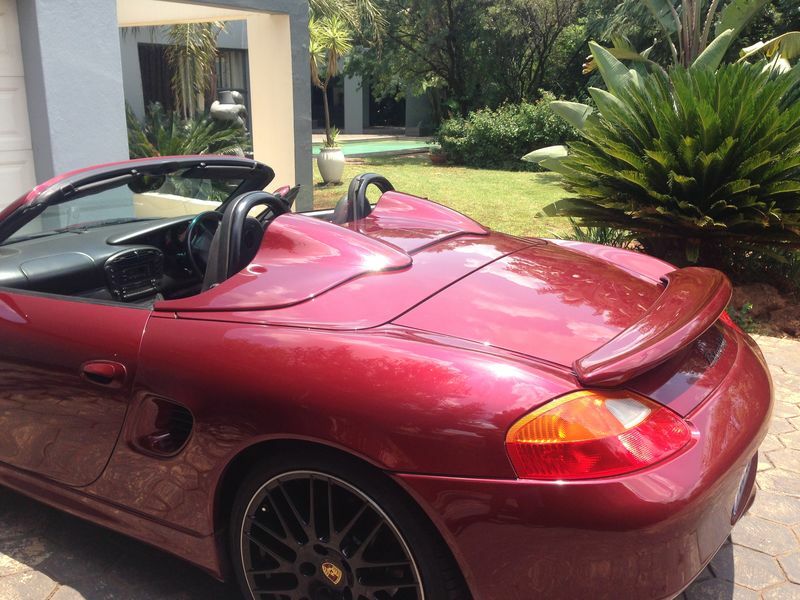 I recently fitted 20" Pirelli tyres on my Boxster and tested them out on the Kyalami race track near Johannesburg. I was amazed with the superior traction and road holding! 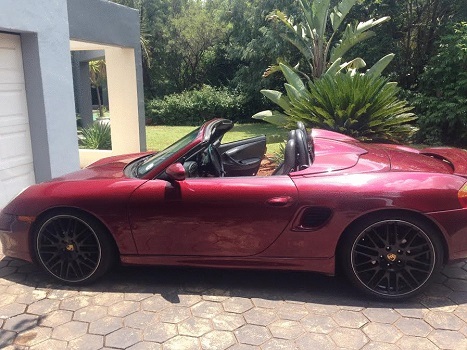 The car was one of the first right hand steer Boxsters built in Stuttgart in 1997 and was exported to South Africa as a demo model. The full spyder kit was fitted at the time. The local Porsche dealer was surprised that I managed to fit 20" original Porsche wheels on a pre 2000 Boxster..
Love the aerokit with the humps. Hang on to this ride, its a beauty. I'm I right to assume that the extra long bootlid was unique to the factory spider kit? It's not that 20" wheels won't fit, it's the potential structural and suspension component damage that can occur because the car wasn't built to handle them. Porsche changed things structurally to accommodate larger wheels in later models. The bootlid is standard. The Spyder kit comprised the humps, the rear spoiler and side skirting..
That bootlid isn't standard, there's no third brake light recess and no rear pop-up spoiler that I can see. I would say that came with the kit. I thought this was the reason why all base models still had 17" alloys. : you may be right. 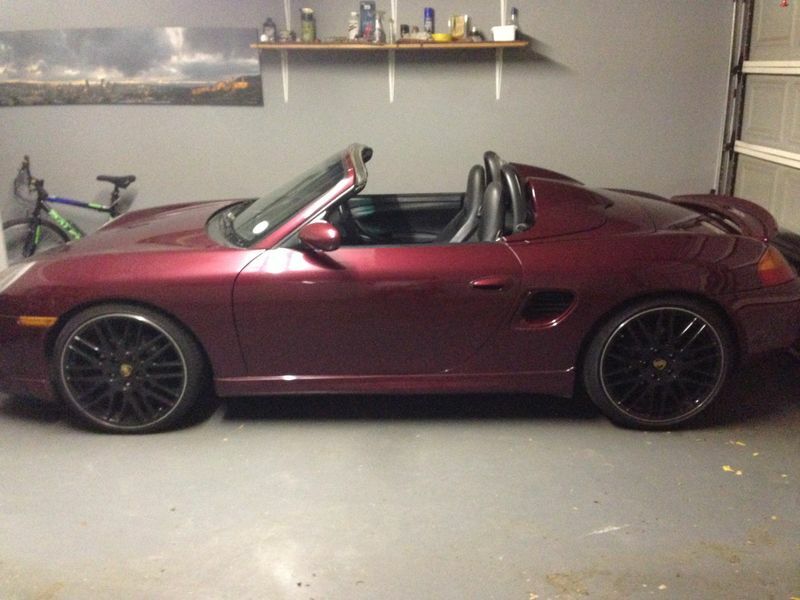 I understood that this was the first original Boxster (designed and developed in 1996) and fitted with the original spyder kit..
That appears to be a factory Aerokit 1 deck lid and spoiler, which was made of fiberglass and did not have the 3rd brake light recess. It was also longer, deleting the extending spoiler/air dam. Can't see the front bumper cover, but looks like you have the factory Aerokit 1 package and speedster humps. Not all base models, just the first production year. The structure was reinforced from the second year on, for all models, to accommodate 18" wheels. Not sure Porsche ever intended for them to have 19" or 20". Last edited by particlewave; 05-15-2017 at 12:10 AM.